Meghan Markle Rumored to Be 4 Months Pregnant with 2 Girls; Twins Will Be Named Diana and Elizabeth? Meghan Markle has been reported to be four months pregnant and she is allegedly carrying twin girls. It was said that the children are honeymoon babies since the former “Suits” actress married Prince Harry in May. Furthermore, based on the report, it was Queen Elizabeth who pushed Prince Harry and Meghan Markle to have kids right away. The Royal Matriarch’s supposed prodding made the former actress feel a great responsibility to get pregnant immediately. 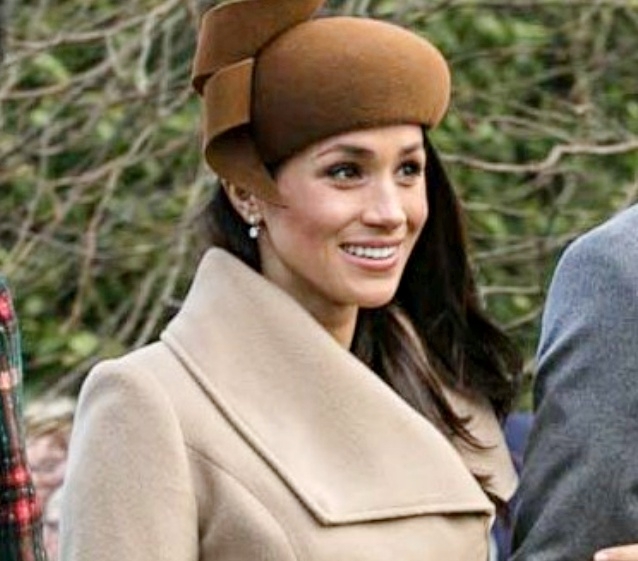 The tipster claimed that the Duchess of Sussex was really worried because she does not want to disappoint her husband and the royal family. Upon learning that Meghan is already carrying a child, the Queen was said to have cried with happiness and Kate Middleton was happy for her and Harry as well. The Duchess of Cambridge even helped her sister-in-law with designing a nursery that reportedly cost $250,000 and shared tips on how to manage the royal life while also taking care of her children. So, is it true that Meghan Markle is already pregnant? New Idea magazine’s report showed a headline that reads: “Palace confirms Meghan Markle is four months pregnant” but at the end of the story, the publication noted that the palace has not responded to the report yet so it means there was no confirmation. Cosmopolitan debunked the claim that the Duchess of Sussex is pregnant. It pointed out that Kensington Palace would surely make an announcement and tell the world that the newly married royals are having a baby but there is no such thing. Plus, it mentioned that Prince Harry and Meghan Markle are scheduled to visit Tonga, New Zealand and Fiji for a 17-day tour in October. Both Fiji and Tonga have areas that are affected by Zika virus, thus there is no way that the duchess would be allowed to go there if she is pregnant. It should be noted that the Center for Disease Control and Prevention issued a warning for pregnant women. They cannot travel to affected areas or their babies might suffer from severe birth defects.